Chelsea are surely going to make huge changes to their squad this summer if they must stand any chance of claiming the Premier League title next season. It was obvious during the season that Spain international midfielder Cesc Fabregas is becoming too old to cope with the stress and the physicality of the League. Tiemoue Bakayoko, who joined the Blues from Monaco last summer, wasn’t impressive throughout the season and he might be heading out of Stamford Bridge. However, The West London club are currently in search of trusted and quality midfielders who can stand their ground against tough oppositions in the upcoming season. 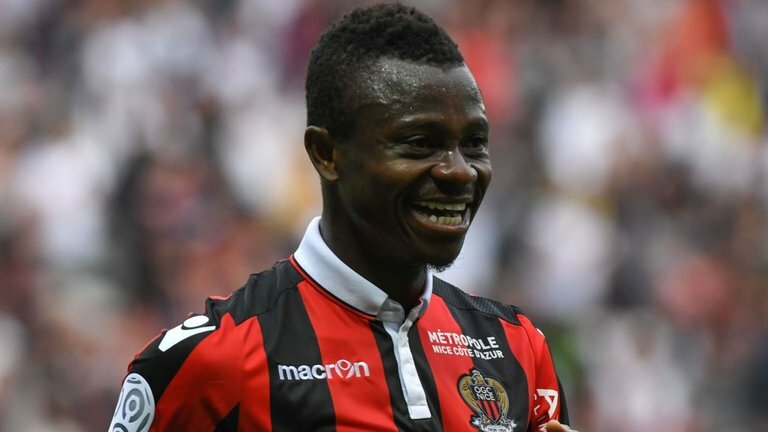 According to reports Roman Abramovich has set his eyes on Ivorian international central midfielder Jean-Micheal Seri in the summer. French media outlet Le10Sports reports that the Blues are in advance talks with the player over a possible switch to Stamford Bridge ahead of next season. Having missed out on Jorginho’s signature, Chelsea are in high speed to finalize a deal for Seri’s Signature before World Cup. Meanwhile, the Blues managerial post remains one of the major concern for the club’s faithfuls. There have been reports in some parts of the media that Maurizio Sarri, who was recently sacked by Napoli, would become Conte’s replacement. In another sector of the media, it is believed that Chelsea hierarchy might give Conte another chance to redeem himself in the upcoming season. It is yet to be seen who would finally become the club’s manager in for the 2018-19 season.